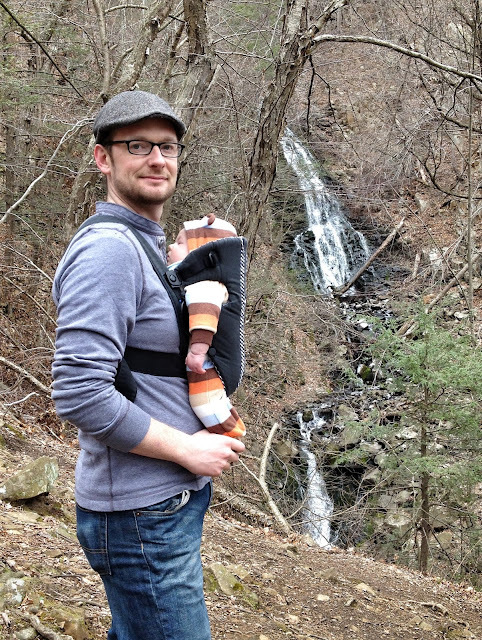 With the mild weather, Rowan went for a climb up to see the falls at Roaring Brook. He didn't do much of the walking himself, but we soon had our calves burning with the steep inclines. Sophie also helped to drag us to the top. Love his climbing outfit.....hope there are no bears around or he might be mistaken for one!